This entry was posted on Thursday, December 2nd, 2010 at 9:47 am and is filed under Fantagraphics. You can follow any responses to this entry through the RSS 2.0 feed. Both comments and pings are currently closed. I love how you both analyze the importance of the work and appreciate it for its emotional impact. These things need not be mutually exclusive! Erica, this is lovely and thoughtful, and I’m so glad you wrote it. I want to say plainly that this review (snarly bits and all) were planned out longed ago. But I’m thankful that yesterday provided the straw that motivated me to get it done. @Ed – Thank you, you are most kind. @David – Thank you very much for hosting this! @Michelle – Thank you! That was exactly what I was going for. These things are *not* exclusive and it beats the hell out of me why some people insist they must be. @Melinda – Thank you, that always means a lot coming from you. Wonderful review, Erica. You get to the heart of the matter quite nicely. This essay loses some of its steam, for me, over the fact that many of the stories in A Drunken Dream were not, in fact, published as shoujo (possibly most, depending on how you categorize the magazine Petit Flower). English-language discussion of Hagio tends to center on her prominence in the evolution of shoujo, but she wrote for magazines in every demographic, and most of her later work is more strictly josei. 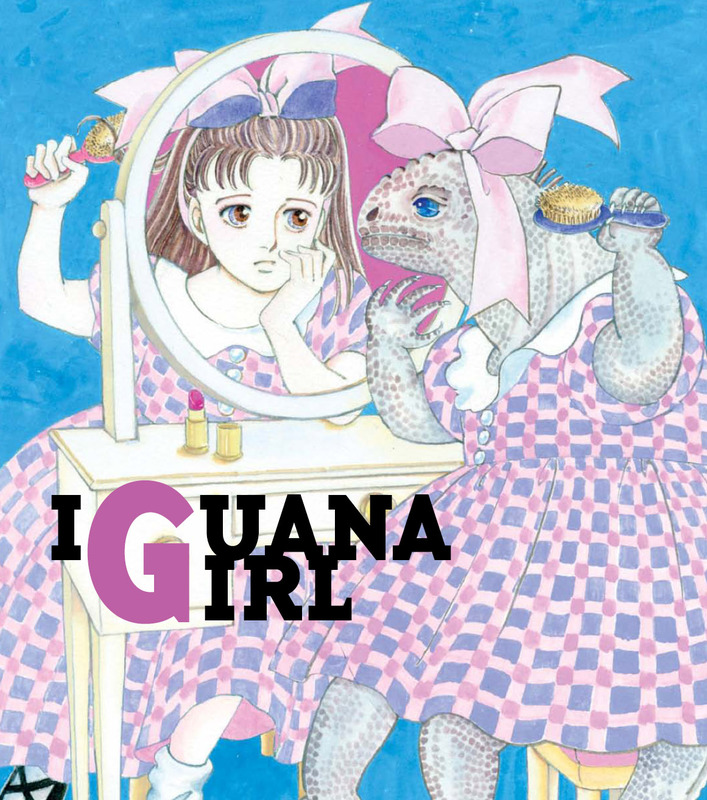 Iguana Girl was not published for the same readership as Bianca, much less so Marié, Ten Years Later. I’ve said this before, but one of the book’s big failings, for me, was the lack of explanation of the publication context of the individual stories. 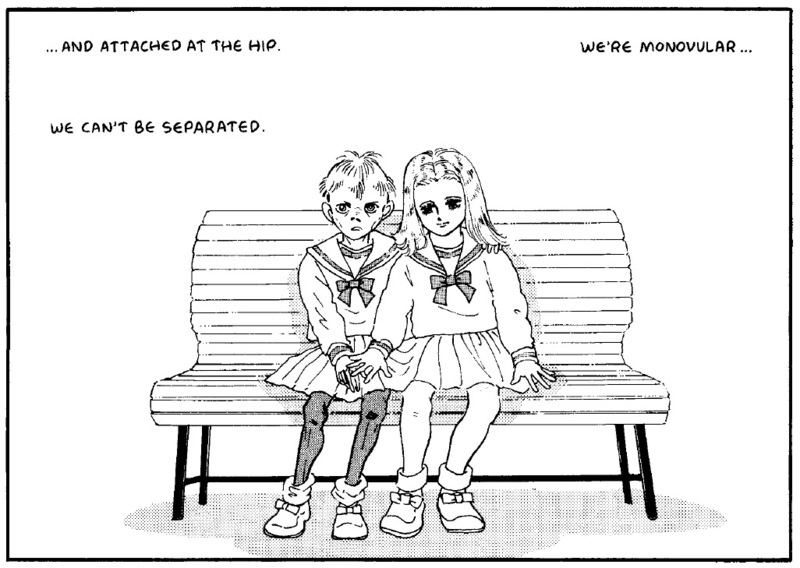 The progression of the stories in ADD are interesting not only for the development of Hagio’s art and career but also in the evolution of manga, particularly the emergence of josei, and this could have been laid out much more clearly with a brief introduction. I think it’s a terrific review–and it got me to pull out and re-read the stories (always a joy). I think the above comment about josei vs shoujo is a bit extreme–but I do wholeheartedly agree that they really did need to give some brief context about where the titles were published (aside from the mislabelling of pictures, I was disappointed that the essay was both edited from its Comics Journal publication, and they didn’t include the awesome and thorough Hagio bibliography from that issue–two reasons to hang on to my copy I guess). This is still hands down THE manga release of the year for me–I just wish we’d hear about it leading to an actual release date for one of her longer titles. Here’s Ami Eternal (http://gengastaff.exblog.jp/15553657/), Vie de Poe (http://www.cafebleu.net/hagio/image/event/2009121604.jpg) and Cher Marrybelle (http://gengastaff.exblog.jp/14881291/). Too much! And just to be clear I do appreciate JRB’s comment–the Petiti Flower stories weren’t aimed at a young teen girl audience really, etc. (And I’m resisting the comparison to Stephenie Meyer lol–even early on, say by the mid 70s, Hagio was quickly identified as among the creme de la creme for shoujo, even if shoujo wasn’t taken seriously, something I wouldn’t say of Meyer and her genre). But I do think it’s an important point to make just because some of the more serious minded reviews of the manga have taken it almost too seriously, and too adult (particularly when discussing the early stories), something which going on about how “important” the work is encourages. It’s not just shoujo vs josei; ADD includes stories published in seinen, alternative, and horror mags as well. – Want. I hate perfume, but I’ll make an exception for Hagio-branded perfume! HAHA I want it too, I’m ashamed to say. I don’t know. I’ve always thought the manga approach to horror offered a much bigger tent in terms of tone and approach, like how Twilight Zone episodes could be uplifting sometimes.